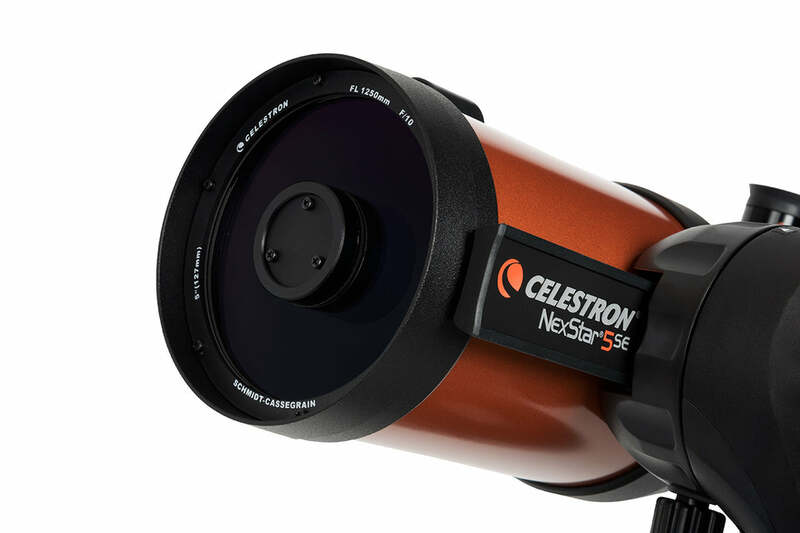 Does anyone have recommendations or advice to help me find a solar filter for my Celestron Nexstar 5SE? What qualities make a good solar filter? And of the filters with those qualities, which ones will fit a Nextstar 5SE? Or you can buy ones ready made for your scope at various dealers for a bit more. The Baader film is top rated by just about everyone. Paul definitely speaks the truth, here. A very enthusiastic +1 to his suggestions. And while you can make your own, a premade one is actually pretty inexpensive, and my concern for the homemade filter is that it has to be on so tight that it cannot come off if bumped or a wind gust takes it off. The premade filters have nylon screws that allow for very secure attachment. If you make one, must make sure that it satisfies that criterion. It has to be held one very securely. Do you have advice for DIY and pre-made solar filters? Has anyone used an AstroZap filter on the 5SE? How did it work out? Is it a secure fit? Note that the clear aperture on the Baader ASTF is only 120 mm, whereas the aperture of the 5SE is 125 mm, so for the Baader filters, the ASSF (130-mm aperture) will provide a better view since it can use the full aperture of the 5SE. Edited by Nicole Sharp, 28 November 2018 - 06:18 PM. I still think I like the AstroZap design better though. If anyone has used an AstroZap film filter for the Nexstar 5SE, let me know if it works. Edited by Nicole Sharp, 28 November 2018 - 06:27 PM. The Baader ASSF looks way more complicated to use than the AstroZap version. And I don't like the idea of gluing Velcro onto the 5SE OTA. Has anyone used the Baader ASSF 130 without the Velcro? Is that safe? Edited by Nicole Sharp, 28 November 2018 - 06:52 PM. That also appears to be using a thin design like Agena, presumably to avoid the dovetail bar. Does anyone know what the distance is between the end of the dovetail bar and the edge of the OTA on the Nexstar 5SE? Edited by Nicole Sharp, 28 November 2018 - 08:41 PM. Found another AstroZap-style filter. Not sure if it is any thinner. 1. Everyone will recommend a Baader filter. 2. 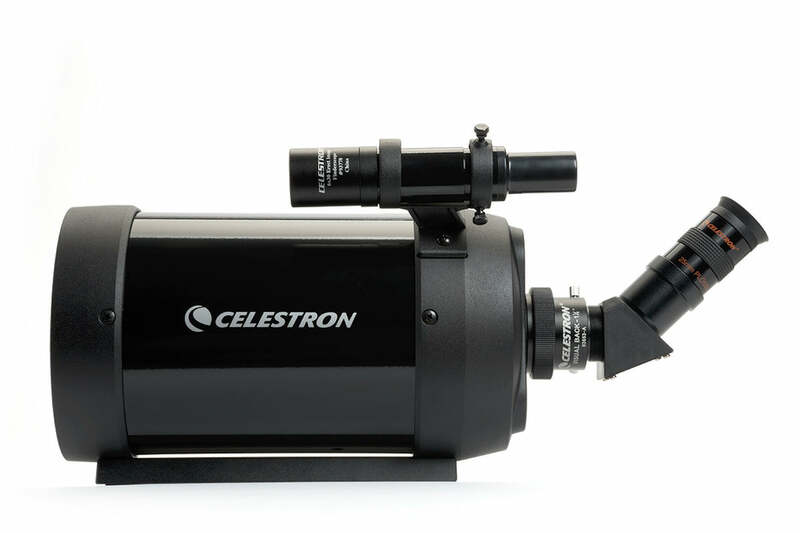 However, I am also in the process of buying a solar filter for my Vixen VMC 110L (110 mm aperture, 125mm tube diameter). I will not buy a Baader filter because it comes without a filter frame. 3. Also I wouldn't trust a thin sheet of material (one solution would be to use two layers). I will buy a glass filter. I haven't seen any evidence that a glass filter is inferior although the internet is full unsubstantiated anecdotes. This reminds me of the unsubstantiated claims that one cannot use an obstructed telescope for planetary work. Well, an un-substantiated claim would be one that was made by someone that has never used both an compared them. I have used glass filter, and I have used Baader filters, and a great many people on CN have used both glass and Baader film. If you take the time to read these comparisons you will find that by a very very large margin, people will say the Baader gives a much better view. I used glass filters for years and finally because so many people recommended them, I eventually tried a Baader filter and the difference was easy to see. And secondary obstructions do lower contrast. Kept small (20%) it is hard to see, but when the obstruction gets big (33%) the effect on contrast is discernible. That is physics. Nothing un-substantiated about that at all. Physics is always right. 1. This is slightly off topic. The obstruction topic is different in nature (because one could always go for a larger aperture). 2. Coming back to the solar filter. For me it will be a glass filter first. Even it were true the Baader filter is better (I haven't seen any consistent evidence except random reports in newsgroups) I still wouldn't feel comfortable with a flimsy sheet. But this is just me (I must also admit I haven't seen any evidence that the Baader film is unsafe or that anyone went blind or that it failed on observers). Edited by Magnetic Field, 29 November 2018 - 10:20 AM. Some good news and some bad news. Astrozap confirmed that their Solar film filter may not fit securely on the 5SE, and that the Baader ASSF 130 would be safer to use. However, Astrozap is working on making notched Solar film filters (like they currently have for the 6SE) for both the 5SE and the 8SE starting next year (2019), so with any luck, they should be available in time for the November 2019 Mercury transit. I really like the Astrozap filter I have now for my Newtonian, and I don't particularly like how the Baader version works, so I think I might just wait until Astrozap comes out with a notched 5SE filter next year, hopefully with enough time to do some practice runs for the Mercury transit. Just a bit disappointed, since I specifically got the 5SE for full-disc Solar/Lunar imaging, but better to wait and get a filter that is easier to use. I'm also worried about the design of the Baader, in that it doesn't appear to be light-tight. Not only could that be a problem with ambient light during imaging, but if I pointed the telescope away from Sol, I would be concerned about unfiltered sunlight making it inside the OTA through the side of the filter if it could reflect off the inside of the film. If anyone has actually tried the Astrozap or Baader filters on the 5SE, would love to hear any user feedback. Edited by Nicole Sharp, 29 November 2018 - 02:24 PM. You cannot stack Solar film filters. I forgot the technical explanation, but it's one of those things you apparently aren't supposed to do. I know a Baader filter sheet doesn't come cheap. Maybe someone here wants to test the waters and report back if the visual image will degrade with a double layer of said filter sheet. One thing I could think of: the image gets too dim? Like I said, I forgot the actual explanation (I would have to google it again), but I think it is actually a safety concern. You should not touch a film filter, and if you are building your own film filter, it should not be made taut. The film is supposed to be slightly wrinkled in order to work properly and safely. Stacking filters I think would create a risk of damaging one or both of them. Edited by Nicole Sharp, 29 November 2018 - 03:09 PM. Lots of misconceptions around solar filters. I am one of those crazy eclipse chasers and have a bunch of different filters in different sizes, different materials, some commercially produced and some I crafted on my own with film. I offer no scientific comparisons, just one experienced observer with many hours of use. All filters need to be carefully inspected before each use to make sure they have no scratches or pinholes that may let in unfiltered light. This is true with both glass and film types. All need to be mounted in a way that they cannot come off accidentally while your eye is at the eyepiece. Likes- Good fit and finish, attaches firmly, reveals sunspots and eclipse phases well, amber color to the sun which looks natural to my eyes. No eye discomfort even in long sessions. Dislikes- Kinda heavy and if you drop it, it breaks. Not nearly as much granular surface detail as Baader filters. Likes- Bright white light, reveals sunspots, eclipse phases, and lots of surface granularity, higher resolution and better detail for photography. Dislikes- Sometimes on long sessions I do feel some eye discomfort so for visual work I use a yellow filter to further filter UV light. Bottom line: I like both and use both. For max resolution and photography, always Baader film. Edited by Cajundaddy, 29 November 2018 - 04:24 PM. I think I read somewhere that you should look away from the telescope at least once every 3 minutes or so when using Baader AstroSolar film (if you think that sounds bad, then remember that you should also take breaks when staring at a computer screen for too long). But it is very good for photography. Edited by Nicole Sharp, 29 November 2018 - 04:46 PM. The tube is listed as being 13 inches long. So the distance then should be 1/10 of the net tube length if it is 1.3 inches. So maybe with the perspective of the angle, that actually is 1.3 inches in the photograph. Edited by Nicole Sharp, 29 November 2018 - 05:23 PM. After a hiatus of 18 years or so I now again own a telescope. But even going further back in time. I can remember when I was teenager a poor mens solar filter was a ,,blanket sheet from a first aid kit". I can remember I raided my mothers first aid kit and used the gold-coloured blanket (it is similar to a Baader solar filter sheet). I never felt safe and only used it twice before persuading my mother to contribute to my funds to buy me a glass filter (I had a glass filter for my 4" Vixen f/10 achromat when I was a teenager and later when I bought one when I was a PhD student in physics for my ETX-90). I cannot remember if the Baader filter sheets were around 25 years ago or so. I am not sure but maybe I had a sample at that time. Anyway, I always had a quick check of the glass filter before sticking it on to the optical tube. Baader film, and what about pinholes. screen out every pinhole. This is a problem with all filters, glass included. unsure, then he should NOT look thru this filter, (or any other) at the sun. paint, or with a black marker. handle the surface, and do not stretch it tightly over your filter cell. That's not a bad idea. If the image appears too bright, you can dim it using a neutral-density Lunar filter. That could help with scrutinizing small details too perhaps, same as with Lunar observing. Edited by Nicole Sharp, 30 November 2018 - 05:36 AM.